...with you through every season. Get crystal clean glass for spring! surfaces in all the hard to reach areas. Yardworx has been offering Residential & Commercial Lawn Care and Snow Removal Service for over 25 years. We offer everything from lawn maintenance, bed cleaning, hedge, shrub and tree pruning and more. 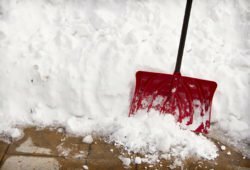 We also offer snow removal and a variety of commercial services. See our services below. We are your one stop shop for the best lawn care services in Calgary & Edmonton. We have been proudly providing Lawn care in Calgary for over 25 years! Have a look at our competitive pricing page to receive an instant quote for your property. All of our Lawn care services come with a satisfaction guarantee. 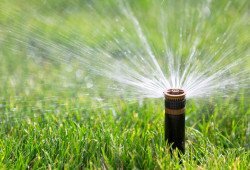 Are you a do it yourself’er and just looking for tips or tricks for lawn care problems, check out our blog section or give us a call and one of our knowledgeable staff will gladly help you out. Yardworx has been your trusted lawn care services in Calgary and Edmonton since 1989. We are proud to display our Lawn Care pricing! And we know that while some competitors may try to compete by cutting their price, they cannot compete with our service. Along with our competitive pricing you are also getting a truly great service experience. After all isn’t this the whole point of hiring a service company in the first place! We not only do the work for you but we also take care of the thinking because you have bigger things to think about.